Ahhh this book has so much promise but for some reason it just didn’t quite hit the mark for me. The storyline itself was good, clever and enjoyable and I was intrigued as to where it was heading and why – but – at various places it just gets a bit muddled. I found the beginning quarter of the book to be a little confusing and almost gave up on it at that point, however I am glad I persevered as the middle of the book is really good, really interesting and I found myself quite engrossed with the story. Then again towards the end it seemed to wander and vagaries crept back in. Shame. So near and yet so far. 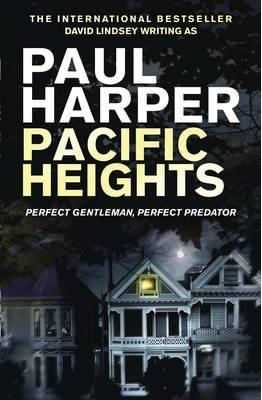 Because of this I would have assumed that it was a first novel that maybe required a heavier hand with editing but Paul Harper is actually the pen name of experienced author David Lindsey – although I have yet to read anything by David Lindsey so far so I don’t know if this is typical for his books. I think I will endeavour to seek one out! A couple meets in a seedy hotel room for an illicit affair, the rules of which are simple: no names, no personal details, the specifics of their lives off-limits. It’s all very exciting to Lore Cha—the wife of a successful Silicon Valley entrepreneur—who thinks their forbidden meetings and taboo sexual encounters are exactly the escape she’s been looking for: every single detail is as she imagined. But that’s the problem. Phillip Krey anticipates every thought before she has it. He plays out her untold fantasies down to the last detail. His insights are beyond intuitive; they’re invasive, even frightening. It’s as if he has access into her mind. Across town, Elise Currin, wife to one of San Francisco’s most powerful businessmen, is also seeing Krey, and is slowly being driven insane by his ability to tap in to her most private desires. When it’s revealed that these women are also seeing the same therapist, a chilling scenario unfolds, and the quiet, plotting detective Marten Fane is called in.